When you think of style and shopping in London doubtless a number of street names come to mind: Bond Street, Oxford Street, Savile Row and Carnaby Street, but for those who know their fashion map off by heart South Molton Street will be a regular destination being home to Brown’s and Browns focus for the serious fashionista and a whole range of interesting brands have their boutiques there. Photography by Elle Halley styling & make up Elizia Volkmann. Hair by Lidia at Sasson Salon South Molton Street and with grateful thanks to Sassoon Salons. If you want the whole look then read Jas's review of the South Molton Street branch of Sassoon Salon for a glamorous hair cut and have a coffee with friends afterwards, being situated in the heart of Mayfair you’re minutes away the other great shopping streets. With the sales a mere sneeze away we give you some ideas of what to be hunting down. 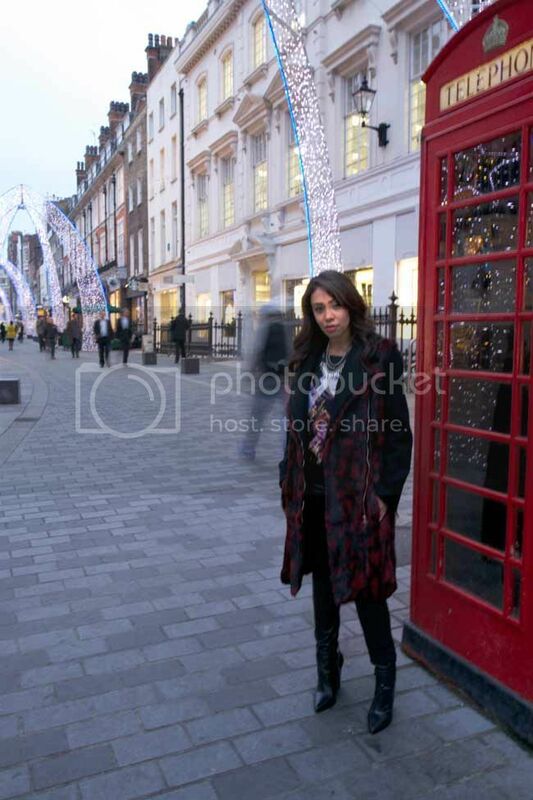 <="" p="">One of Fashion Fox’s writers Jas Kaur models some of the streets brands, Sandro, Supertrash, Paige Jeans and Bimba y Lola after having her hair styled by Lidia Marino. 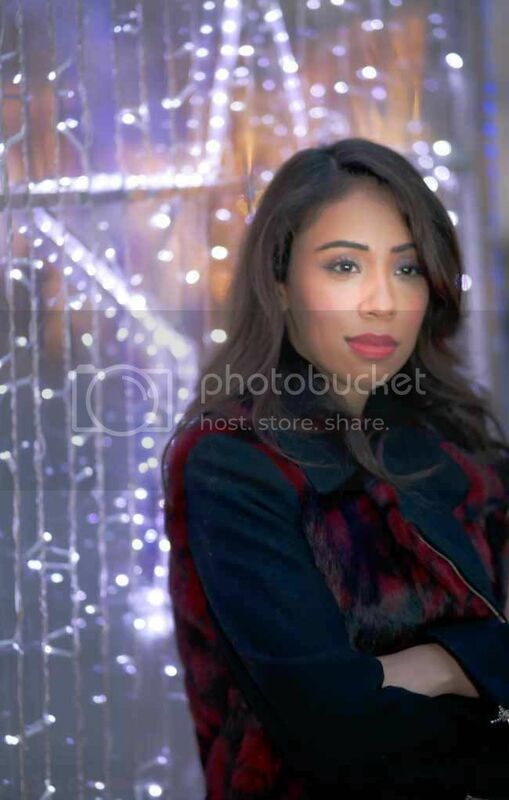 Jas is a fashion enthusiast and works as a Marketing Executive at Ernst & Young in the City. Tom Ford is her style icon and she loves a good pair of high heels. The first look featured above is a day to evening look with a fun fur biker style coat from family run Spanish label Bimba y Lola Biker coats are a trend we shall see continue into early spring teamed with a print top by super chic Parisian brand Sandro, leather look leggings by Paige Jeans and wedge heels for a look that has both edge and elegance. This second look is Office meets the army with a quilted army green collarless, biker jacket by Sandro and a pleated army officer style dress from Supertrash. Again I've teamed this with these amazing pointy wedges from Sandro. We've gone for opague tights (it really was very cold) but this look would be amazing with super sheers that are back and when I say with a vengeance, I am wondering whose vengeance.